A country style spin on a well known Caribbean vegetarian dish. 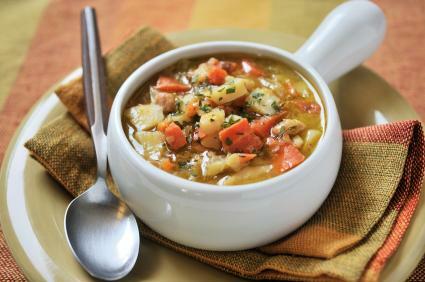 Also called "vege-stew," this dish is common among both meat and vegetable lovers. Add water to Red Kidney beans on stove top and bring to a boil. Reduce heat. Add coconut milk, scallion, pimento grain, whole garlic and whole pepper in the pot. Slowly boil and simmer for a few minutes. Season with onions, crushed garlic, black pepper and thyme. Remove the scallions and hot pepper before serving.